A great activity to use as an introduction or assessment for partitioning rectangles and circles. 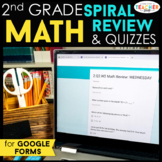 Aligns with Common Core Standard Standard 2.G.A.3- Partition circles and rectangles into two, three, or four equal shares, describe the shares using the words halves, thirds, half of, a third of, etc. 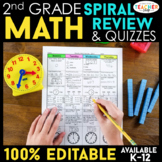 This bundle includes 1 practice sheet for students to complete in small groups or individually to prepare for the assessments and gain knowledge on partitions. It also includes an assessment over partitioning rectangles and one over partitioning circles. 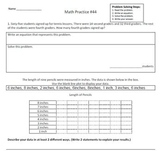 There are four different front and back worksheets. 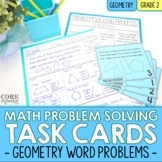 These are good for independent or group work. The first pages addresses only 2.G.2 and the other three focus on 2.G.3 with a review of 2.G.2. There are both skill-based tasks and "performance task" problems. 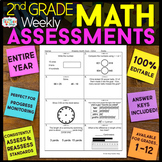 A great way to practice or assess understanding for Math Common Core 2.G.3. 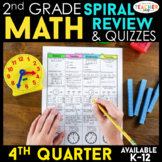 Also included in: 2nd Grade Spiral Review & Quiz BUNDLE | Reading, Math, Language | ENTIRE YEAR! This is an introduction Fraction Flip Book for 2nd Grade. It allows students to partition rectangles and circles in halves, thirds and fourths. It allows provides opportunity for conversation on how many 1/2 -1/3- or 1/4 is. Can easily be glued into a student math notebook.